"On June 19, 1953, Ethel and Julius Rosenberg were executed for conspiring to commit espionage. The day Ethel was first arrested in 1950, she left her two young sons with a neighbor, and she never came home to them again. 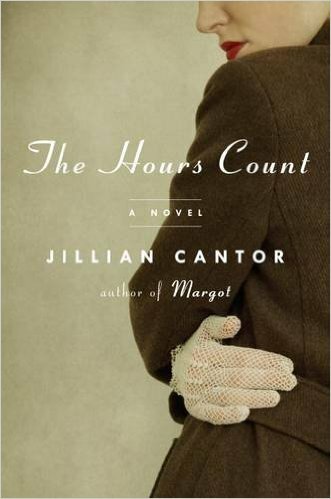 Brilliantly melding fact and fiction, Jillian Cantor reimagines the life of that neighbor, and the life of Ethel and Julius, an ordinary-seeming Jewish couple who became the only Americans put to death for spying during the Cold War. As Millie—trusting and naive—is thrown into a world of lies, intrigue, spies and counterspies, she realizes she must fight for what she believes, who she loves, and what is right." Just to be clear, this is a story about Millie Stein, but oh what a story it is. Imagining what it must be like for a woman in the 50s, who is not in love with her terrible husband and struggling with a son, whose problem has not yet been accurately diagnosed, was just heartbreaking. I connected with Millie instantly, not because I have necessarily had her same problems, but because she felt human, real, and I could imagine myself feeling the same way as her if I were in her shoes. Historical fiction has always been a big favorite of mine. I love how it can take an event in history and make it real or relatable for me. I have heard of/learned of the Rosenbergs, but since I was in high school at the time I learned of them, I had forgotten their story and didn't seem to connect much to it then. Reading about their situation from Millie's point of view made the entire situation utterly heartbreaking to me, and I have spent much time reading over the reports online. Learning the real story of the Rosenbergs via the notes Cantor includes in the back of her book and through my own research inspired by this novel, has been immensely emotional and fascinating to me. Reading the book was able to put my mind in a place that allowed me to see deeper into what life for the Rosenbergs might have really been like or what they were feeling. I did not refresh my memory about the Rosenbergs before this reading, so I didn't know what would happen to them. Not knowing made my reading suspenseful and I could hardly put it down, though I am sure knowing wouldn't have changed it for me. Millie's story was still a mystery, and I was so invested in her, rooting for her, that I couldn't stop reading until I knew how she fared in the mess her life had become. Reading about Millie and what drove her actions and motivated her has me thoughtful. Because in the end, while this was a story about Millie and her involvement in the Rosenberg case, it was overall the story of a mother trying desperately to make the right choices that would allow her to protect her children. It was a story of a woman who just wanted to be loved and to be a good person. This is a fascinating, emotional, and educational read. So my question is: think of something you love with all your heart, that is also something you must take care of. Be it a family member, spouse, child, or even a beloved pet. Then imagine you might have to give up that person to save another. Or never be able to see them, knowing they were being taken care of by someone unloving and maybe putting their lives in danger. Who do you save? Do you save your friend? Or do you protect your child? Is it better for your friend to die so you can care for your child and keep them safe? This is one of the questions Millie had to face and it broke my heart that she had to make it. If you love historical fiction, I found this one well researched, with lots of interesting details added in from that particular time period, as well as a gripping and emotional fictional side that made this novel all around gripping. An excellent set of well-developed characters and a story that blended fact and fiction seamlessly.